Berthe Morisot pochoir "Bois de Boulogne"
Medium: lithograph with pochoir coloring (after the 1879 watercolor). 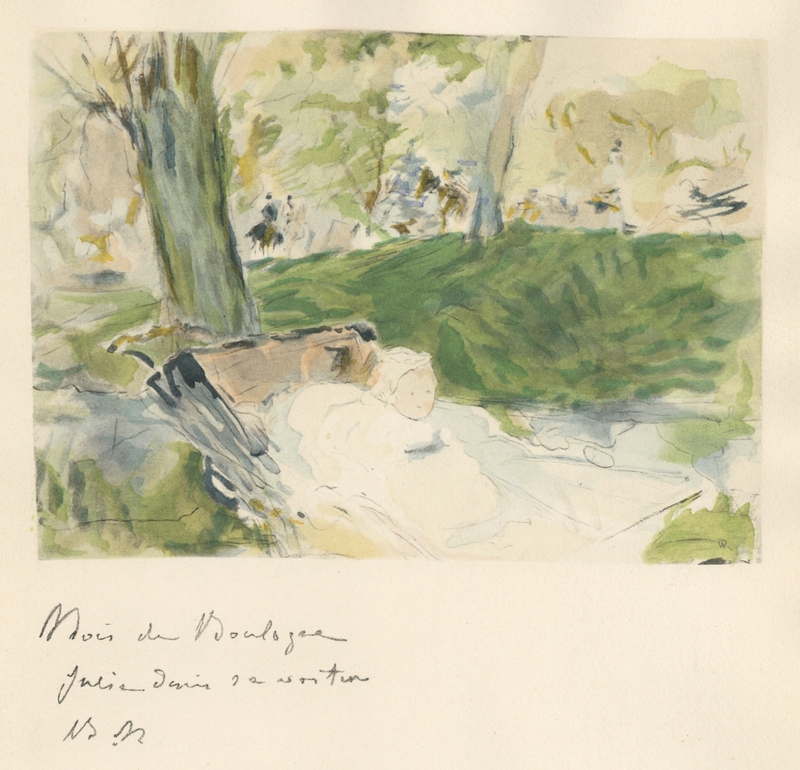 Beautifully printed 1946 in a limited edition of 300 for the rare "Berthe Morisot Seize Aquarelles" portfolio, published in Paris by Quatre Chemins. The image measures 6 x 8 inches (150 x 206 mm). The total sheet size is 15 x 11 inches (380 x 280 mm). There is an index number in the margin beneath the image. Signed in the plate, not by hand.